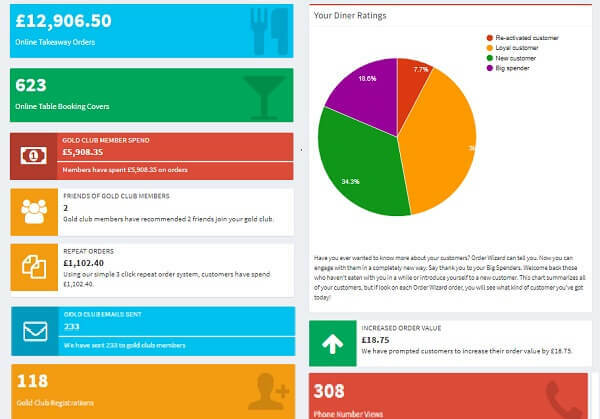 Order Wizard is the restaurant marketing system that works for you. 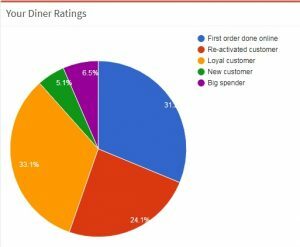 It drives customers to your website, restaurant and take-away. It includes a professionally designed website, online ordering, table bookings, social media and email campaigns and much, much more. If you’re serious about your brand and you’re looking for a Just Eat alternative, Order Wizard delivers the restaurant marketing you’ve been looking for. Our restaurant website design and development service is only available as part of the Order Wizard system. Want to know more about your customers? Order Wizard automatically tells you what kinds of customers you have. Are they big spenders, first time diners, or a re-activated customer. Be in control of your business with the powerful knowledge Order Wizard gives you.